As snow begins to fall once more over Worcester Park, our local heroes at 'Scout 4x4' have been coming to the rescue once again with their 4x4's. 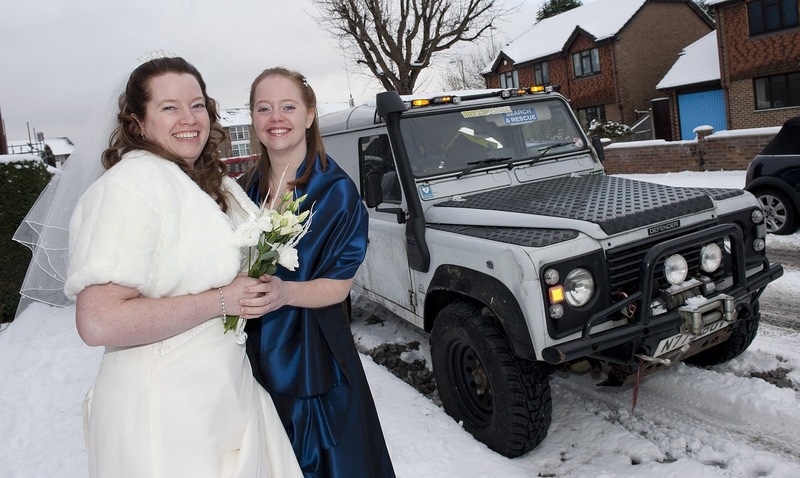 On Saturday they made sure one local bride got to the church on time for what was a very very white wedding. They have also been busy helping the police, meals on wheels and the South East Coast Ambulance Service and will remain ready for action until the snow clears. Any new members wishing to join and support the group should visit the website www.scout4x4.co.uk. You don't have to be a scout already, so if you are interested why not drop the a line and find out more?